A fantastic location plus the ski condo amenities you’re looking for all pulled together in this Three Kings condo. 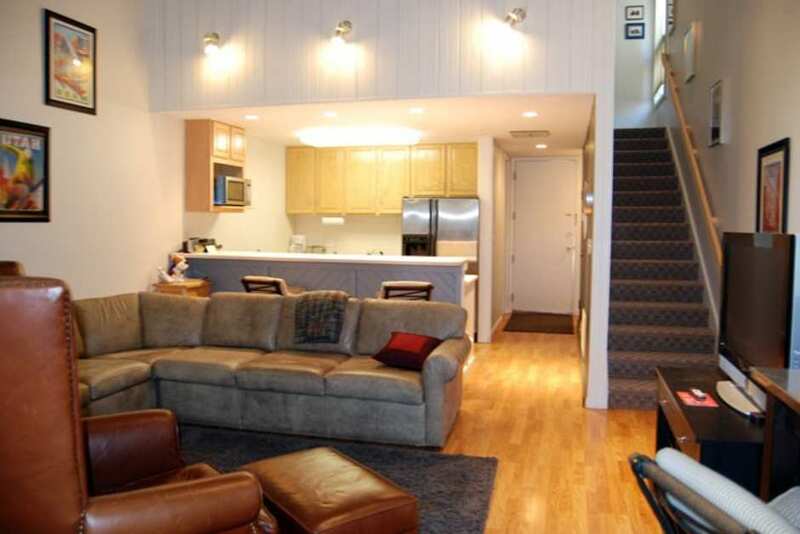 This large studio is nicely situated directly on the Park City Municipal golf course, perfect for summer mountain getaways. 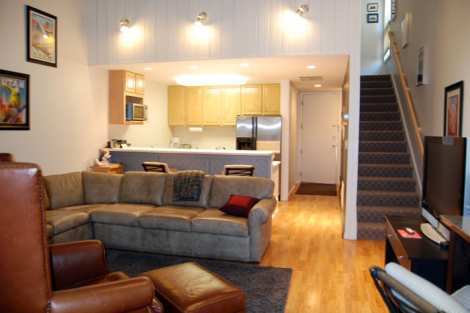 Also nearby, and a short walk away, is Park City Mountain Resort. A full kitchen is perfect for dining in and the living room hosts a large flat screen TV and sectional sofa – a great spot to gather to relax and discuss the adventures of the day. A heated pool and hot tub are located in the common area nearby. Your private deck offers golf course and mountain views. The upstairs loft hosts a queen size bed, large flat screen and a full bathroom. Garage parking is available should you choose to bring along a vehicle. Loved the location.. The apt could use some updating especially the furniture. Will use your company again. We enjoyed our stay at Three Kings. The check in process that requires picking up the key at Lespri could be improved. Friends who also stayed at a 3 Kings Condo had PIN number access to their unit which was also convenient if one person wanted to do their own thing (i.e. we only had one key between us). Otherwise we thought the condo was clean and good value for money.